CRICKET NEWS - In spite of centuries by Obus Pienaar and Niel Hornbucle as well as a commanding first innings lead of 127 runs the SWD cricket team lost its momentum the past weekend and suffered a 107 runs defeat against the visitors for KwaZulu Natal in the Cricket South Africa Provincial Three Day competition. KZN were dismissed for only 143 runs in their first innings thanks to a fine spin bowling performance by Pienaar who bagged 5/56 (in 17.3 overs). SA U/19 captain, Matthew Montgomery (37) and Michael Erlank (35) contributed with the bat. 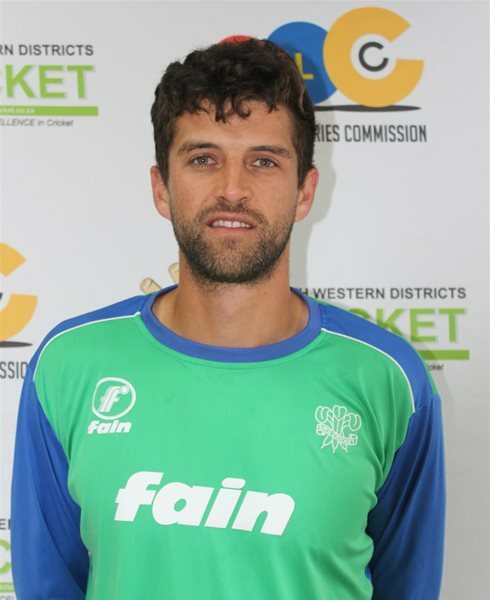 SWD responded with 270 thanks to a 107 runs partnership for the 6th wicket between Hornbuckle who made an unbeaten 125* (164 balls; 2x6, 16x4) – his 4th first class ton – and Brendon Louw (58). Smangaliso Nhleba (7/100 in 30.4 overs) bagged 7 wickets in an innings for the 2nd time in his career. With a deficit of 127 the visitors from Durban took the initiative with Blayde Capell (166) and Jason Oakes (83) who contributed with a partnership of 193 runs for the second wicket. This partnership, together with an unbeaten half century by Montgomery (50*) enable KZN to declare their second innings at 398/7 – setting SWD a tough target of 272 for victory. Pienaar (4/46) – who bagged 9 wickets in the match – was SWD’s best bowler. With the exception of Pienaar (122* from 201 balls; 1x6, 19x4) who scored his 3rd century of the season the rest of the SWD batsmen were disappointed as SWD were dismissed for 164. Pienaar, who posted 828 runs thus far this season, is within reach of a landmark of 1,000 runs in the season. At an average of 75.27 he is the leading batsman in the competition and besides his three centuries he also made 5 half centuries. Marcello Piedt (34 wickets at an average of 15.26) is the top wicket-taker in the competition. Kwa Zulu Natal won by 106 runs.